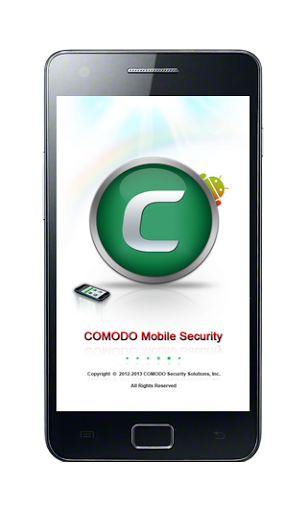 COMODO Mobile Security provides real-time protection against known and emerging threats on your mobile device while helping to protect your privacy and keep your system optimized. 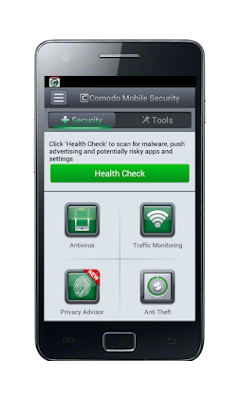 CMS combines a mobile-optimized antivirus scanner with a mobile security manager to safeguard you against viruses, unsafe apps and potentially risky settings. You can filter out annoying calls and text messages by configuring white and black contact lists or simply block messages by certain keywords. CMS also gives you “Private Space” – private calls, text messages and contacts that are for your eyes only. Anti-theft protection allows you to remotely locate, lock, take photograph of the possessor or wipe off your personal data and files if the device is mislaid or stolen. “Always on” virus protection and an on-demand scanner help keep your device clear of viruses and unsafe apps. One touch scans and scheduled scans are provided as well as a system “Health Check” feature that quickly identifies viruses, unsafe apps and potentially risky settings. CMS makes it easy to manage all the apps in your device. You can view the installed apps, take a backup or uninstall them. With a single tap restore uninstalled apps back to your device. View full list of apps in your device and you can choose either to install them or delete them.